I will write About Indian Tourist Places not covered in my previous articles. The National Orchidarium in Yercaud near Salem in Tamilnadu, a worth visiting for those who love orchids. Trekking inside Sathyamangalam Wildlife Sanctuary, Abt rack and pinion system of UNESCO Heritage Site Nilagiri Mountain Railway Ooty, Anna Samadhi and MGR Samadhi at Marina Beach Chennai, Polur Narasimha Temple in Tamilnadu are some other tourist palaces in Tamilnadu. Horsley Hills near Madanapalle in Andhra Pradesh which is a beautiful non-crowded non-polluted hill station where many movie songs are shot. There is a residential public school and a government rest resume. There are not much of houses or shops except a very few which can be counted by fingers in one hand. Puthur falls or Kone Falls in Andhra Pradesh is a small but beautiful fall, at around 3 hours drive from Chennai City. HAL Aerospace Museum Bengaluru opposite old Airport which is a good museum which details the Indian Aeronautical history and is very useful to inculcate scientific temper among students. World famous Shirdi Sai Baba in Shirdi Maharastra is a famous pilgrimage center near Pune. 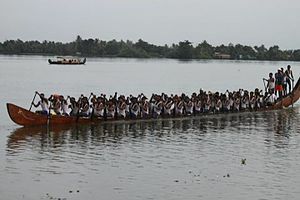 World famous Allapuzha Nehru Trophy Boat Race where the champion is given trophy in the name of Late Jewaharlal Nehru, the first Prime Mister of India, who watched the race once and got excited and jumped into a racing boat is conducted on second Sunday of Every August and is a must see for any tourist visiting Kerala that time. You can stay at homestays like stay at Pathanamthitta homestay. Very ancient Rock paintings at Marayoor Attala in Idukki district in Kerala is another palace to visit, especially for those interested in studying ancient civilization. Marayoor is famous for the Sandalwood. Ayyappan temple in Sabarimala Kerala is another pilgrimage place where pilgrims from all around the world comes during the season. Saint Thomas Catholic Church Malayattoor Kerala and Asia’s largest arch dam Idukki dam in Kerala are some other tourist places in Kerala. Mysore Palace and Brindavan Gardens are two famous tourist centres in Mysore, Karnataka. Other major tourist center is the Chamundi hiils near Mysore. This post is about Indian Tourist places which are not covered in previous pages. One needs to travel and see these places to know about India and its rich culture and heritage. 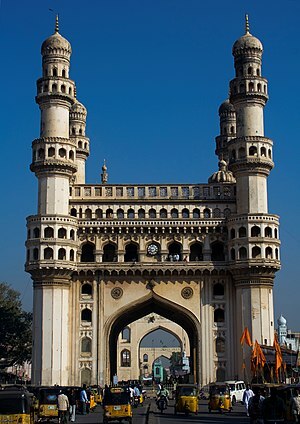 Charminar Hyderabad is one of the well known iconic buildings in India. Tada Falls is a small beautiful fall in Andhra Pradesh near to Tamilnadu border side. ‘Southern Splendor’ is a luxury tourist train operated by Karnataka Tourism Development Corporation, which is run in two routes; one covering Karnataka and Goa and a second train covering Karnataka, Tamilnadu and Kerala. Kumarakam Wildlife Sanctuary is near to Kottayam and Allepy on Vembanad backwater side in Kerala. Aathirappilly Waterfalls is near to Chalakudy in Kerala. You can goto Kovalam near to Thiruvananthapuram and stay at Kovalam homestay. Mysore Palace is a famous palace at Mysore in Karnataka. Kodachadri is a famous temple in Shimog district of Karnataka. Thengumarada trekking tour in Satyamangalam forests near Salem in Tamilnadu, Coffee plantations of Coorg in Karnataka, River Pambar in Eravikulam National Park in Idukki district of Kerala, Vishnu temples of Tamilnadu,Mankayam Falls or Idinjar Falls or Kalakkayam Falls near Thiruvananthapuram in Kerala, Kovalam beaches, Kumarakam Wildlife Sanctuary, Aathirappilly Waterfalls, Mysore Palace, Kodachadri Shimoga, Kerala waterfalls, Shenkottai Tenkasi, Sampath Giri, Banglore gardens etc are some among the famous tourists spots in the southern states. Each of these places has its own charm. Let me explain those which are not self-explanatory in the above paragraph. Thengumarada is an excellent trucking location which offers two days of trekking inside deep forests. Coorg is the place famous for its warriors from times immortal. river Pampar river is a river which originates in Anamudi region of Western Ghats in Kerala. Kovalam beaches are in Kerala state near Thiruvananthapuram city.